ltherapy is an innovative non-invasive skin lifting and tightening procedure that is FDA cleared for treatment of the face, neck, and upper chest. Ultherapy uses targeted, focused ultrasound to tighten the skin from deep below the surface and stimulate collagen growth. Using a diagnostic quality ultrasound, we are able to visualize and precisely target the layer of collagen deep in your skin that lends support. Over the course of three to six months following treatment, your body will continue to build new collagen, improving your skin tightening and lifting. Ultherapy is a single session therapy and has virtually zero downtime. Depending on the areas you wish to treat, the session can last anywhere from 20 minutes to an hour and a half. You can even schedule it around a lunch break and go right back to work! Ultherapy can be combined with other skin procedure such as fractionated laser and chemical peels or even botox and fillers. If you’re interested in learning more about Ultherapy, please contact Awaken Aesthetics to set up a consultation by calling (310) 791-2233 or by completing the form on this page. Awaken Aesthetics serves the Torrance & South Bay, CA areas. 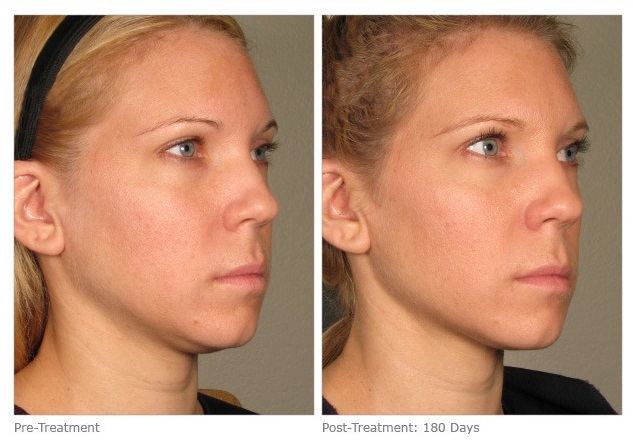 Ultherapy is an excellent alternative to a surgical facelift for mild to moderate laxity in the lower face area. Even patients with severe laxity can benefit from this focused ultrasound technology. Brow lift was the first procedure cleared by the FDA for use with the Ultherapy device. It can provide a natural, aesthetically pleasing lifting of the brow for a fraction of the cost and downtime of a surgical brow lift. Patients with neck laxity can benefit greatly from Ultherapy as well. Wrinkles in the upper chest area from aging and sun exposure have traditionally been a difficult area to treat. We have seen some excellent results with Ultherapy in this area. Ultherapy can be a viable alternative for lifting or tightening of any area with skin laxity including the area around the eyes and mouth. There are other off-label uses for Ultherapy. Schedule and consult with us and see what Ultherapy can do for you!